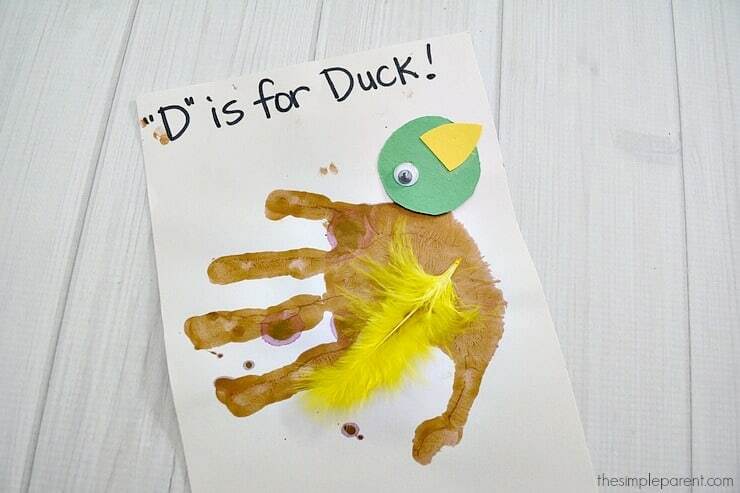 Our Letter of the Week Crafts series continues this week with the letter D! Carrigan is all about animals right now so it only made sense that we do a duck for the letter D! She’s also a huge fan of Donald Duck so it was fun to learn a bit more about ducks with both kids! Check out the latest addition to our letter of the week crafts! If your child is a fan of animals, the many of our letter of the week crafts will work well for you because we’re also huge animal fans! This week’s craft goes a bit beyond the paper crafts we’ve been doing to include some paint! I love giving the kids the chance to use different art supplies so we do paint every so often! If you’re not in the mood to paint, you could always trace your child’s hand on an extra piece of construction paper. As usual, I’ve included affiliate links in case you need to order any supplies. We’ve also included some of our favorite books about ducks at the bottom of the post. Books are great to pair with letter of the week crafts! Pour some brown paint into a paper plate. Either paint your child’s palm or have them press their hand into the paint on the plate. Placing your white construction paper horizontal, have your child press their hand to the center of the paper. Turn the paper vertical so the thumb is pointing down. Cut a circle out of green construction paper and a triangle out of the yellow paper. Glue the circle on the top edge of the handprint. Then glue the triangle onto the head to make a beak. Add a googly eye or draw one with a marker. 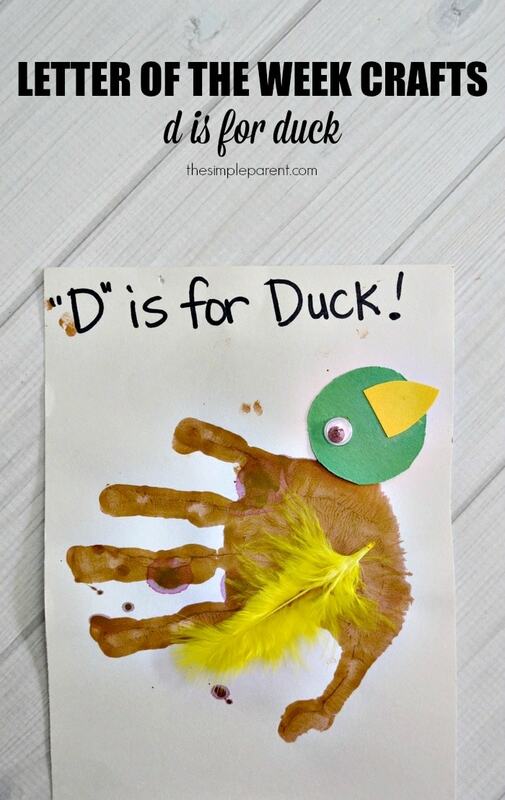 We love pairing books with letter of the week crafts so if you’re looking for some great books about ducks, we have a few favorites! We love Duck & Goose by Tad Hills (and really any of the books featuring the pair! ), 10 Little Rubber Ducks by Eric Carle, and Duck at the Door by Jackie Urbanovic! They are some of our favorite books and end up in the nightly reading rotation quite often!